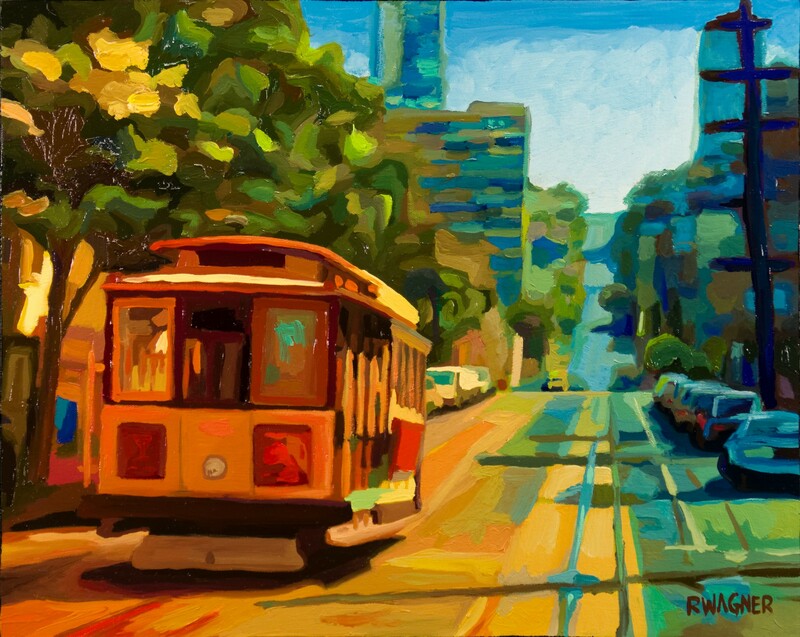 Russ Wagner has been painting for over 15 years and resides in Marin County, California. 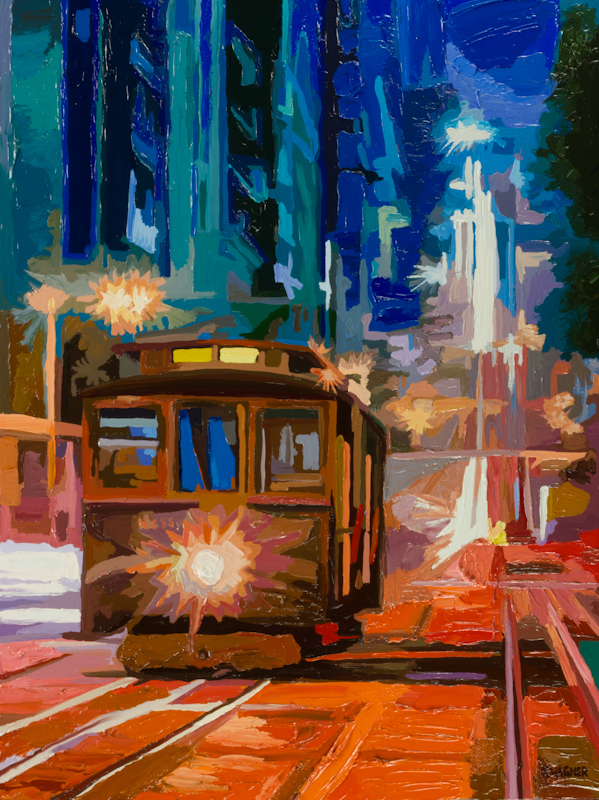 Known for his bright, fauve-influenced use of color, Wagner paints the “unseen” colors he perceives in both interior and outdoor scenes. 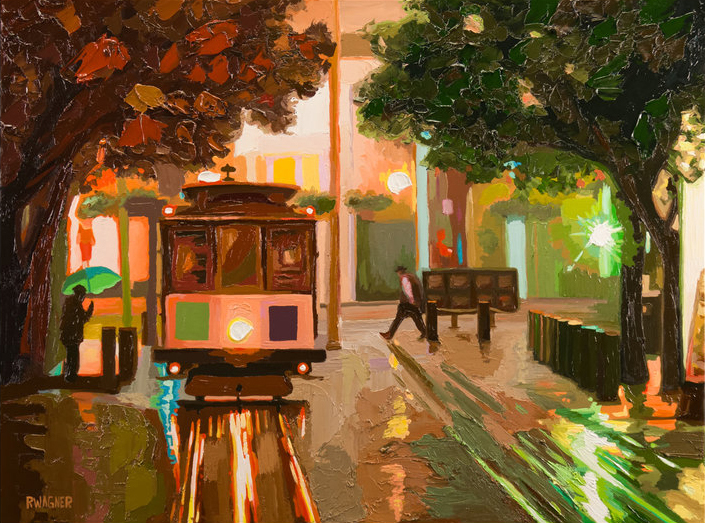 His unique brushstroke and warm color palette evokes a sense of motion and passion. 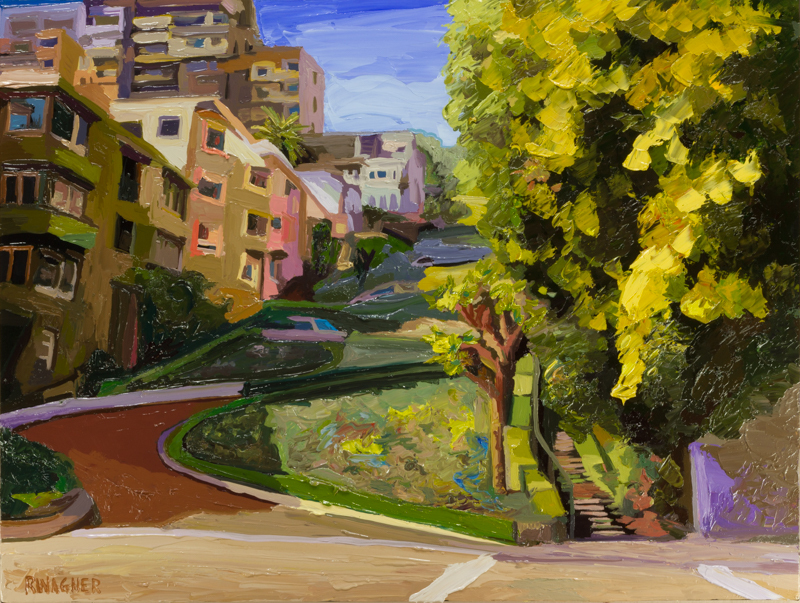 Wagner’s oil paintings, inspired by years of studying the Masters including Hopper and van Gogh, capture the vitality of life. 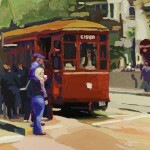 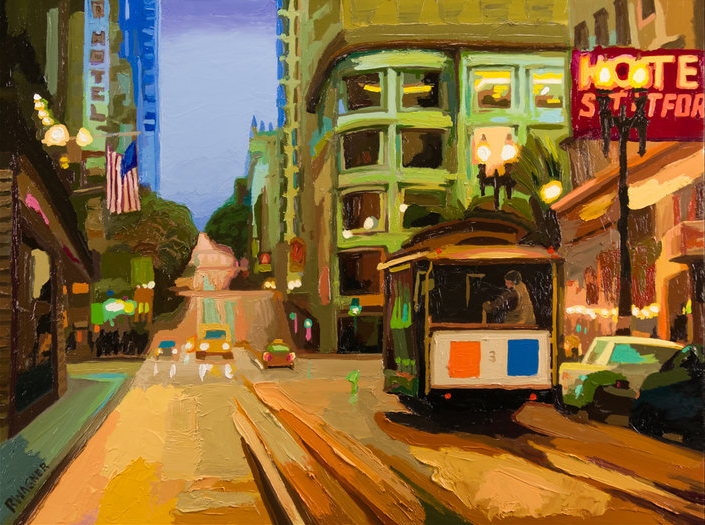 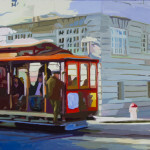 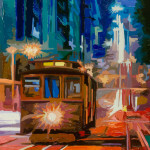 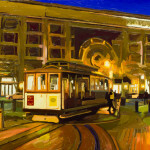 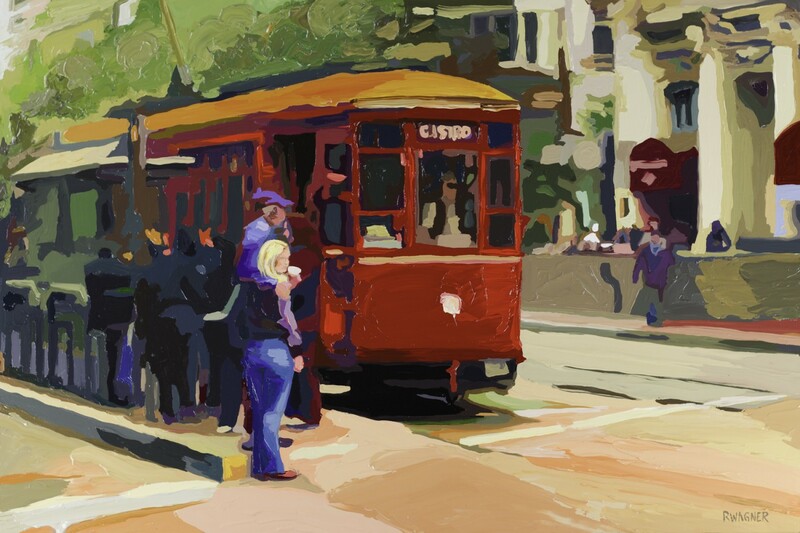 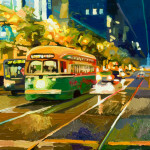 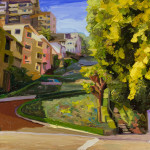 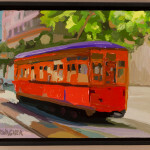 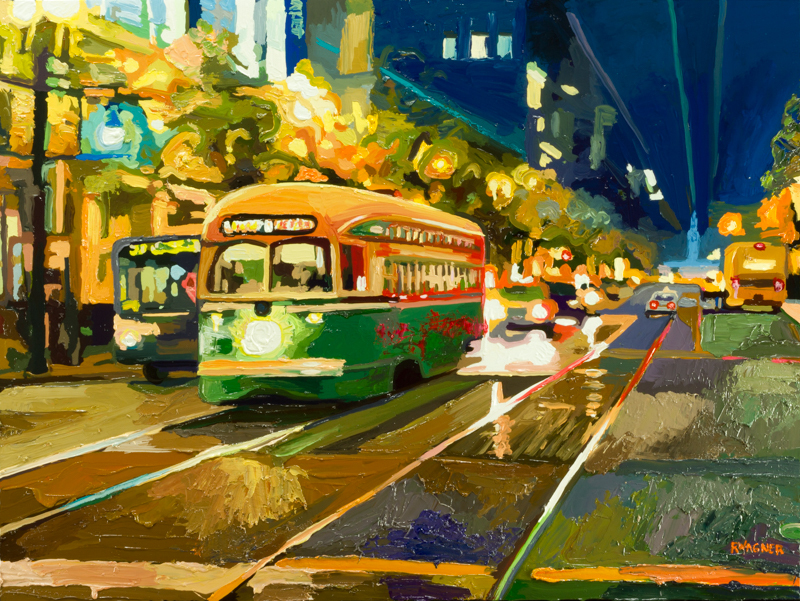 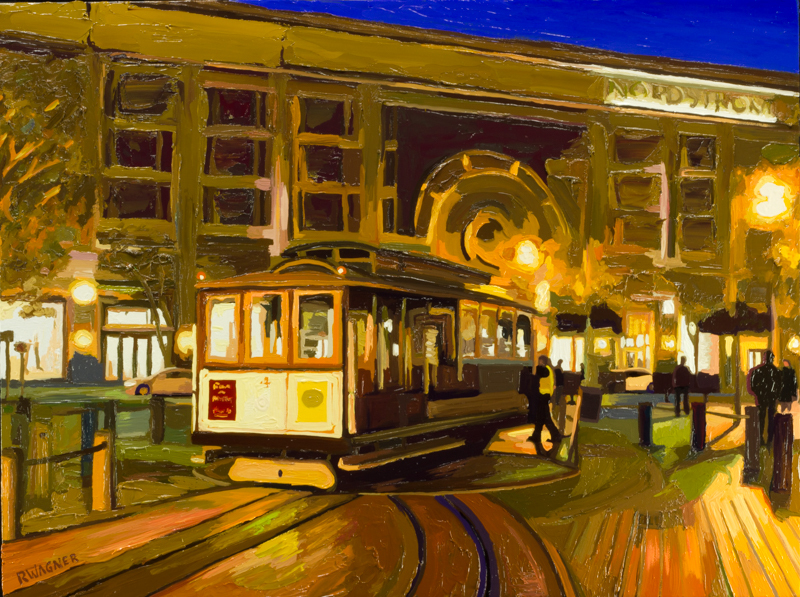 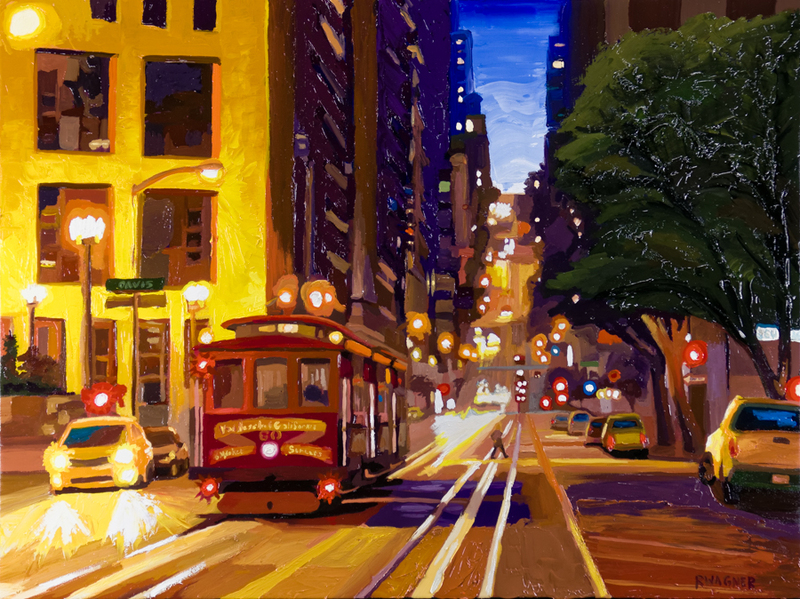 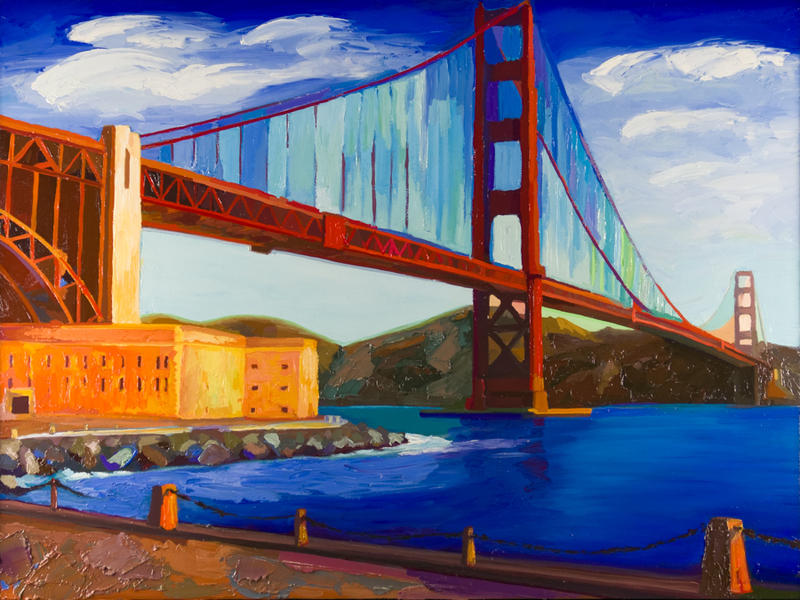 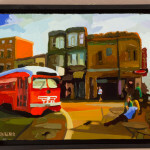 His current exhibits focus on San Francisco cityscapes and historic streetcars. 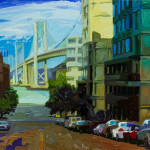 “I am inspired by movement, strong color and candid interactions between people and their environment. 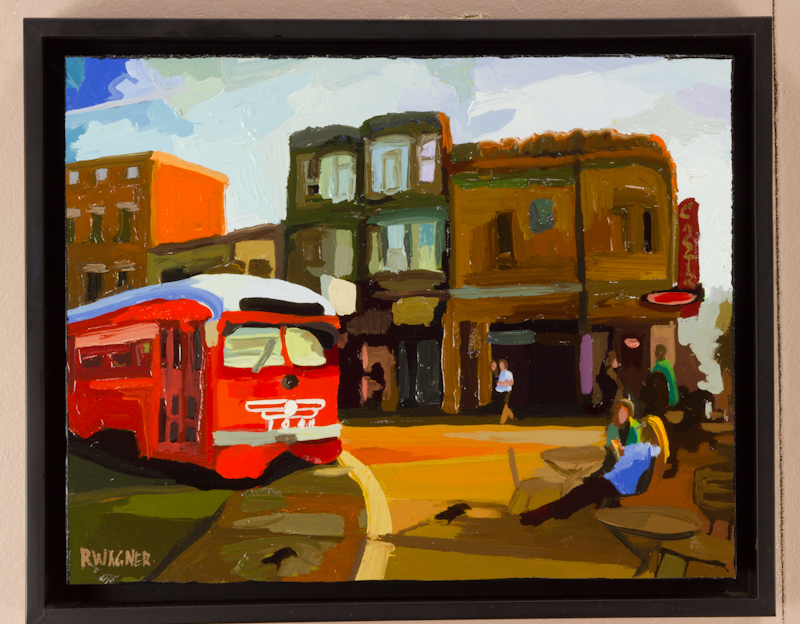 Capturing that one small moment in time that holds so much emotion,” says Wagner. 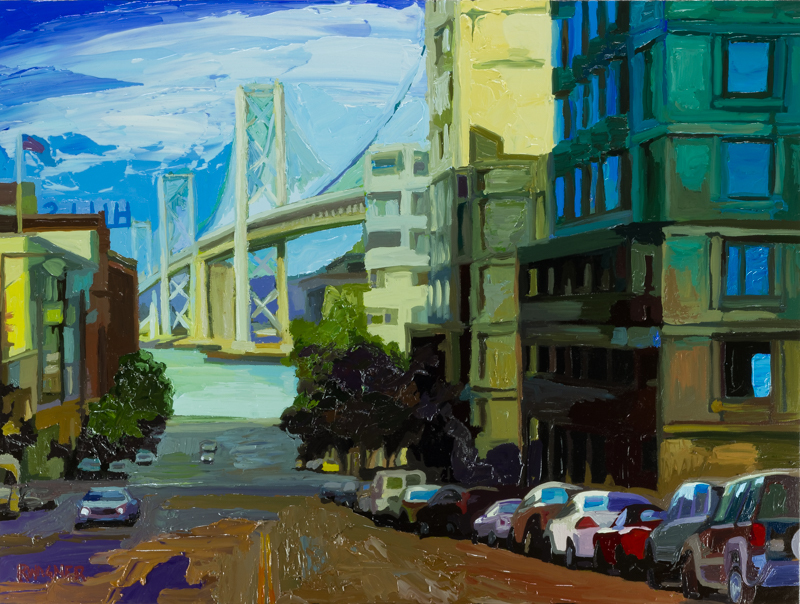 Wagner’s sense of craft can be seen in his exacting choice of canvas and high-quality paints. 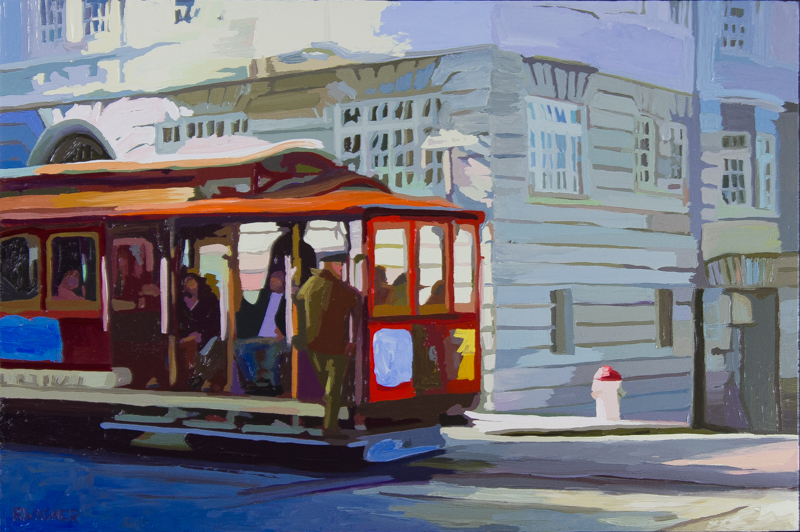 His work is divided between commissioned pieces, for which he works with his clients to develop the subject and theme, as well as a variety of outdoor and candid scenes. 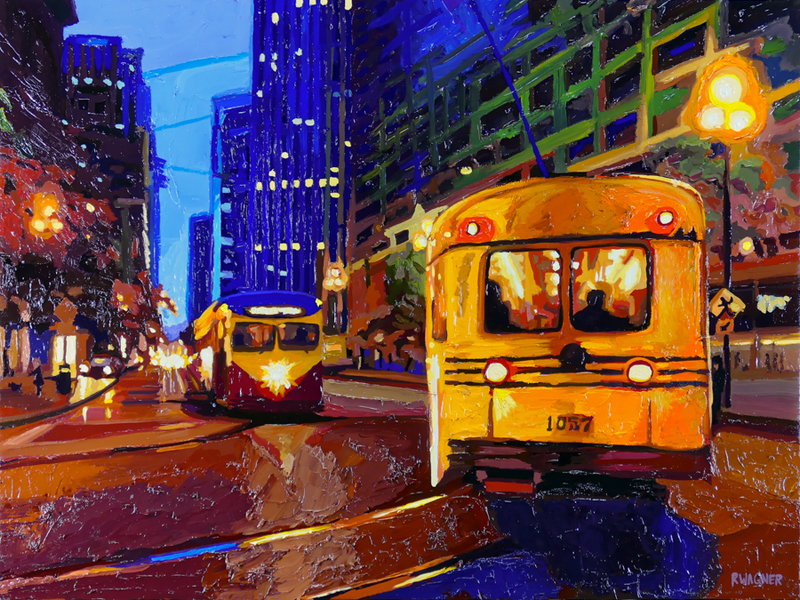 Wagner received a bachelor’s degree in finance from Arizona State University in 1987. 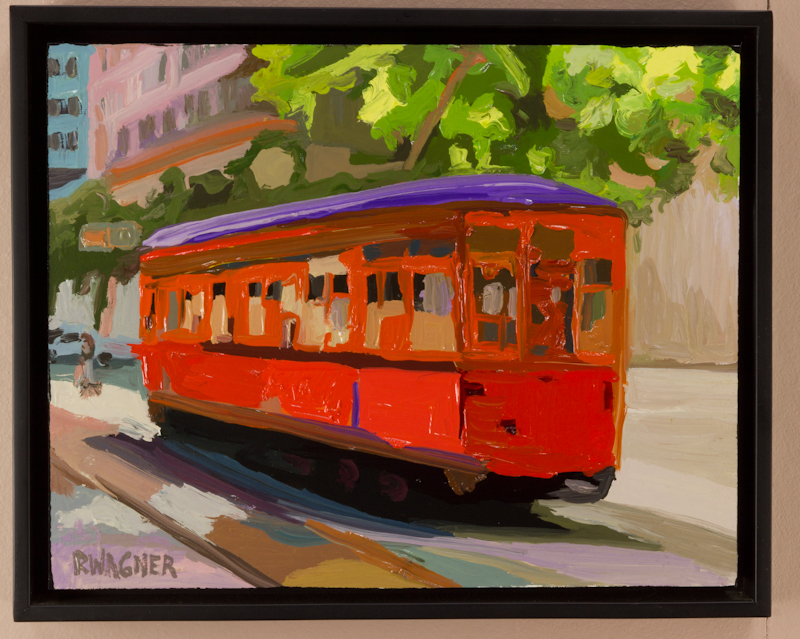 After a successful career in financial sales, Wagner chose to devote his time to his true passion of painting life in motion.